Team Australia, consisting of Mark Philippoussis, Thanasi Kokkinakis, John Peers, Henri Kontinen and wildcard Mansour Bahrami have won the 10th edition of the World Tennis Challenge. This is the tournament’s final word. 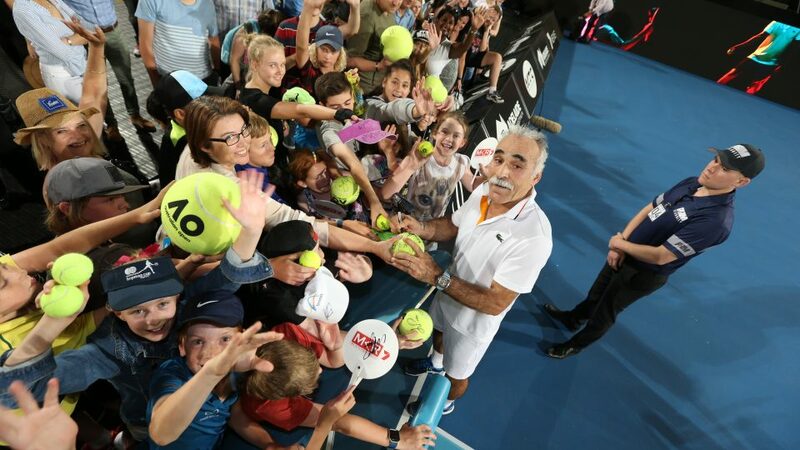 The 2018 World Tennis Challenge Ballkid Squad consisted of 19 ballkids, some of whom even hit a few balls with the players during the legends doubles matches! The best performing Tweet was a video of Thanasi Kokkinakis winking at the camera as he came off court following his win over Gael Monfils. The Tweet was retweeted 33 times, including by Kokkinakis himself and received over 250 likes. Daria Gavrilova was one of many people to comment on it. The same video also performed highly on Instagram, achieving over 2500 views.